Energy efficiency improvements in the U.S. electric power sector could reduce electric consumption by 7 to 11 percent more than currently projected over the next two decades if key barriers can be addressed, according to a preliminary analysis of potential energy savings released recently by the Electric Power Research Institute (EPRI) and the Edison Electric Institute (EEI) during an Edison Foundation conference which examined strategies to meet the growing demand for electricity which is expected to soar 30 percent by 2030, according to the U.S. Energy Information Administration. That demand growth projection would be even higher without the implementation of existing building codes, appliance standards and market-driven consumer incentives, which will shave electricity consumption by 23 percent, according to the EPRI-EEI study. However, additional efficiency gains could be achieved only by overcoming major market, regulatory and consumer barriers, the analysis found. . . . Essential steps include increased consumer education; adoption and enforcement of aggressive building codes and appliance standards; creation of utility business models that promote increased efficiency within the power sector; and adoption of electricity pricing policies that more accurately reflect the cost of providing electricity to consumers – and give them the information they need to use it wisely. . . .
At the same time, consumers’ ever-increasing appetite for electricity-hungry devices – even with continuing efficiency improvements – will keep electricity demand on a steady upward trajectory. A 42-inch plasma television consumes two and a half times more energy (250 watts) than a standard 27-inch TV (100 watts). And while many large household appliances have become more efficient over the years, many smaller devices have not. Two 30-watt set-top television boxes, for example, may consume as much electricity as a large refrigerator. The world needs to build 30 nuclear power stations and the equivalent of two Three Gorges dams every year to prevent dangerous climate change, the International Energy Agency has said. It also needs to build 13,000 wind turbines and 40 coal and gas power stations fitted with carbon capture and storage technology each year between 2013 and 2030, the head of the Agency told the climate change conference in Bali. An article in the Washington Post reports, on what could be a major decision in the fight against global warming, that the Kansas Department of Health and Environment became the first government agency in the United States to cite carbon dioxide emissions as the reason for rejecting an air permit for a proposed coal-fired electricity generating plant, saying that the greenhouse gas threatens public health and the environment. . . . If this precedent is followed, and it will be cited by environmentalists in future applications for air quality permits for future coal powered power plants, we may not need additional legislation to require carbon capture and sequestration, unless a law is passed exempting carbon dioxide from the provisions of the Clean Air Act. The later would be a very unpopular law with citizens and, I believe, from Democrats and without much support from Republicans in an election year. Until this is straighted out in appeals courts, it looks like a big win for nuclear power and renewables as utilities will be less willing to take a chance on coal powered power plants. This will also be a big boon for wind power and thermal solar in the near future, until PV solar becomes more competitive. The fact is that coal power is getting more expensive as many other sources are becoming less expensive. "If it was possible I would place a moratorium on building coal plants without CCS." I swear I had not read or heard about this story. New Zealand electricity producers, including Contact Energy Ltd., will face a 10-year ban on the construction of new gas- or coal-fired generators to help the nation meet its Kyoto Protocol emission reduction targets. . . . State-owned generators will be barred from building new gas-fired plants, and a decision on whether to extend the ban to Contact and other private generators will be made this year, Energy Minister David Parker said today. Powerspan Corp. and BP Alternative Energy have announced a collaborative agreement to develop and commercialize Powerspan's carbon dioxide (CO2) capture technology, called "ECO2(TM)" for power plants. The scope of the agreement includes financial and technical support for pilot demonstration and commercial scale-up activities, which may include joint development of large-scale demonstration projects that would capture CO2 from power station flue gas. The captured CO2 would be sent for secure, long-term storage deep underground. Use of ECO2 for large scale capture and storage of CO2 from power plants represents a major option for reducing greenhouse gases. 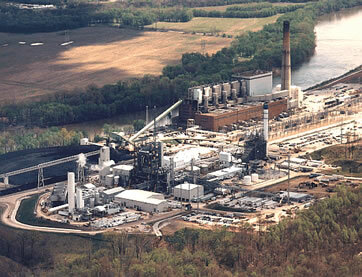 It is expected that pilot plant testing will take place at FirstEnergy Corp.'s R.E. Burger plant in Shadyside, Ohio in early 2008. The ECO2 process is a post-combustion CO2 capture process for conventional power plants. The technology is suitable for retrofit to the existing coal- fired, electric generating fleet as well as for new coal-fired plants. The regenerative process is readily integrated with Powerspan's patented Electro- Catalytic Oxidation, or ECO(R), process for multi-pollutant control of sulfur dioxide, nitrogen oxides, mercury, and fine particulate matter from power plants. LSCF tubes, tiny tubes made from an advanced ceramic material, have the remarkable property of being able to filter oxygen out of the air. If air were to be blown around the outside of an assembly of a large number of the tubes located in a gas fired power station, oxygen would pass through the wall of the tube to the inside, where it would combusts with methane gas that is being pumped through the of the tubes. By burning fuel in pure oxygen, it is possible to produce a stream of almost pure carbon dioxide, which has commercial potential for reprocessing into useful chemicals. Engineers at Newcastle University in northern England, in collaboration with Imperial College London, have developed LSCF for potential use in reducing emissions for gas-fired power stations and possibly coal and oil-fired electricity generation as well. Conventional gas-fired power stations burn methane, the primary component of natural gas, in a stream of air, producing a mixture of nitrogen and greenhouse gases including carbon dioxide and nitrogen oxides, which are emitted into the atmosphere. Separating the gases is not practical because of the high cost and large amount of energy needed to do so. However, the LSCF tubes would allow only the oxygen component of air to reach the methane gas, resulting in the production of almost pure carbon dioxide and steam, which can easily be separated by condensing out the steam as water. 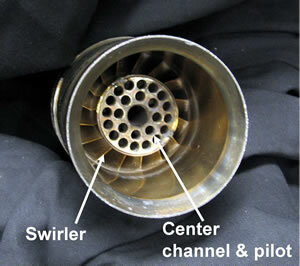 A unique type of clean-burning combustion technology called, low-swirl injection (LSI), for fuel-flexible near-zero-emission gas turbines, developed by Robert Cheng and David Littlejohn of Berkeley Lab’s Environmental Energy Technologies Division, along with scientists from San Diego-based Solar Turbines. 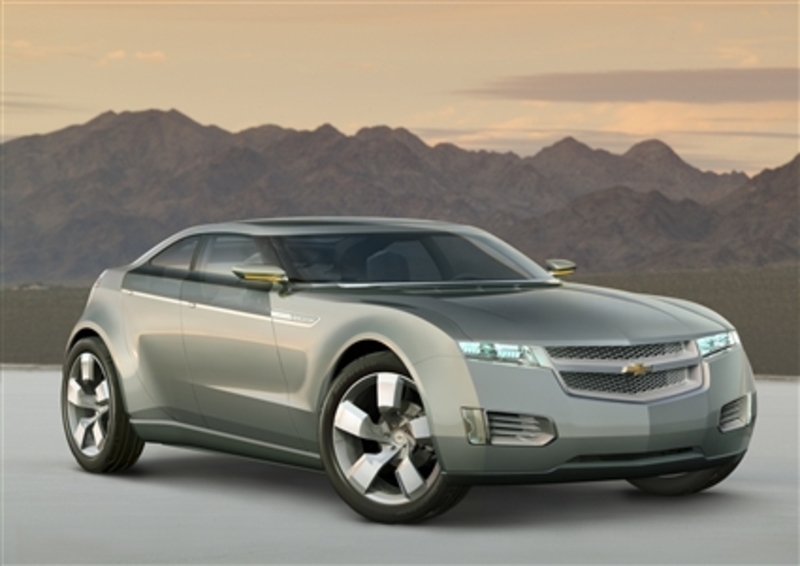 The technology is now entering the marketplace after years of research and development. LSI technology, recently won a 2007 R&D 100 award for 2007 from R&D magazine as one of the top 100 new technologies of the year. LSI is a technology that significantly reduces greenhouse gas emissions and pollution from gas turbines used to produce electricity, or from any stationary combustion system in which it is incorporated. Burners using this technology produce 10 to 100 times lower emissions of nitrogen oxides than conventional burners, making it easier and more economical for industries to meet clean air requirement. In the 1980s, new combustion technologies reduced nitrogen oxides (NOx) from more than 100 parts per million (ppm) to the current standard of less than 25 ppm. Now, the low swirl Injector emits less than 2 ppm. It is the only technology that can affordably reduce NOx emissions to this near-zero level. Power companies worldwide expect generation and utilisation of wind energy and nuclear energy to increase substantially in the next five years, says a PricewaterhouseCoopers (PwC) report released on Thursday. The ninth annual PwC report, based on responses from 114 power companies in 44 countries, warns however, that regulatory reform, as well as large investments in energy efficient technology are essential to overcome the existing power shortages. Climate change appears to have cemented its place in utility company strategy. 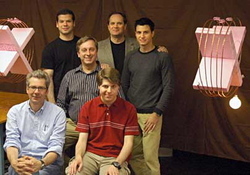 From MIT news - Realizing their recent theoretical prediction, MIt researchers were able to light a 60W light bulb from a power source seven feet (> two meters) away; there was no physical connection between the source and the appliance. 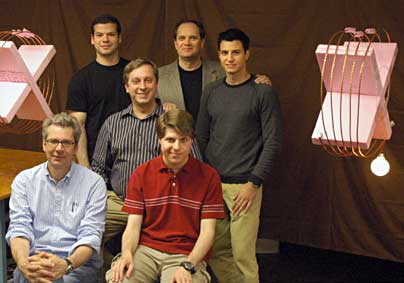 The MIT team refers to its concept as "WiTricity" (as in wireless electricity). The work was reported in the June 7 issue of Science Express, the advance online publication of the journal Science. Shown left-Wireless power transfer over two-meter distance, with approximately 40% efficiency, from the coil on the left to the coil on the right, where it powers a 60W light bulb. Members of the team that performed the experiment are obstructing the direct line of sight between the coils. WiTricity is based on using coupled resonant objects. Two resonant objects of the same resonant frequency tend to exchange energy efficiently, while interacting weakly with extraneous off-resonant objects. A child on a swing is a good example of this. A swing is a type of mechanical resonance, so only when the child pumps her legs at the natural frequency of the swing is she able to impart substantial energy. American Electric Power (NYSE: AEP) announced two significant memorandums of understanding (MOU) regarding technologies that would reduce CO2 emissions from coal powered electric power plants. The first MOU is with Babcock and Wilcox Company, a unit of McDermott International, Inc.(NYSE: MDR) to pursue the viability of retrofitting power plants with oxy-coal combustion (oxycombustion) to existing power plants to reduce CO2 and other emissions. Under the terms of the MOU the companies will assess the application of oxy-coal combustion as a retrofit to an existing AEP plant, and work toward the development of the first oxy-coal commercial validation project in the United States. The second MOU is with Alstom (Paris: ALS) to bring Alstom’s chilled ammonia process for CO2 capture to full commercial scale of up to 200 MW by 2011. The technology has the great advantage versus other technologies of being fully applicable not only for new power plants, but also for the retrofit of existing coal-fired power plants. Oxy-coal combustion uses pure oxygen for the combustion of coal in electricity generating plants. In this system, nitrogen that comes in with the air for the combustion process is eliminated. As a result, the exhaust gas is a relatively pure stream of CO2 that is ready for capture and sequestration or alternate uses such as enhanced oil recovery. Use of this technology is expected to result in near-zero emissions from coal-fired electric-generating facilities. B&W has established a collaboration agreement with American Air Liquide, Inc. for the continued development of the technology. A superconductor is a material that conducts electricity with almost no resistance. High-temperature superconductors (HTC) are conductors that superconduct at temperatures much “warmer” than conventional superconductors (although still very cold) — for example, -300°F rather than -460°F. This difference, while not huge, is enough to make HTCs more viable for practical applications than materials that must be kept much colder. HTCs are important to creating superconductor-based electric and power-delivery devices, such as power transmission lines, motors, and generators. HTCs are starting to be introduced into service as reported in this previous post. Much research remains to be done in order to make this a more economical technology. This post reports on the latest efforts to this end being conducted at the Brookhaven National Laboratory. Although it was discovered more than 20 years ago, a particular type of HTC is regaining the attention of scientists at the U.S. Department of Energy's Brookhaven National Laboratory. Copper-oxide compounds, called cuprates, operate at temperatures warmer than traditional superconductors but still far below freezing. Two recent newspaper articles discuss the arguments as to whether pulverized coal or IGCC power plants are the better coal fired power plants to build, in the context of suitability to control greenhouse gas emissions. Australia will be the world's first country to ban incandescent lightbulbs in a bid to curb Greenhouse gas emissions, with the government saying on Tuesday they would be phased out within three years. Environment Minister Malcolm Turnbull said yellow incandescent bulbs, which have been in use virtually unchanged for 125 years, would be replaced by more efficient compact fluorescent bulbs by 2009. This is an example of the size of transmission projects required to bring the benefits of wind power to populated areas. The resulting construction of fossil fueled power plants is surprising -- is this an indication of the amount of back-up power required for the wind plants or just an indication of the need for more power in the region? I suspect the later. 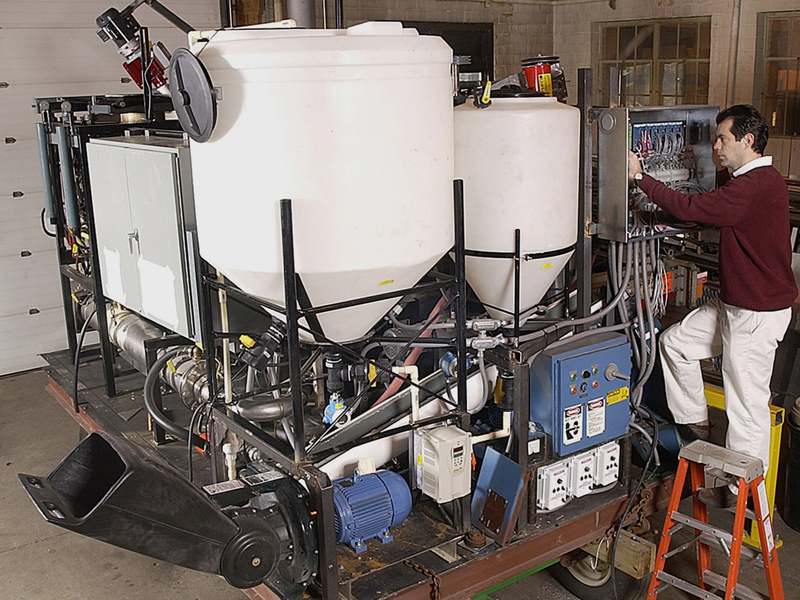 Purdue Researchers Develop "Tactical Biorefinery"
"In a very short time it should be ready for use in the military, and I think it could be used outside the military shortly thereafter" said Ladisch. ThermoEnergy Corporation (OTCBB:TMEN) has received recent funding, through the Alaska Energy Authority (AEA), of a US$1.5 million grant by the US EPA to design, build and operate an initial prototype of the company's patented zero air emission power plant design known as the ThermoEnergy Integrated Power System, or TIPS. This prototype plant, which will be housed at the Canadian energy laboratory (CANMET) in Ottawa, will provide the process data the company needs for the design and construction of a commercial scale multi-megawatt demonstration facility in 2009. "A successful TIPS development program could significantly change the way in which coal-rich countries such as the US, China and India generates power from their vast resources," said Dennis C. Cossey, CEO of ThermoEnergy Corporation. "Excessive airborne emissions of NOx, SOx, mercury, particulates and CO2 from coal-fired power plants will become a thing of the past." American Superconductor Corporation (NASDAQ: AMSC), best known for its high temperature superconducting products, has signed a definitive agreement to acquire Windtec, a private company based in Klagenfurt, Austria that develops and licenses proprietary wind turbine system designs, and sells wind turbine electrical systems. The all-stock transaction, worth $12.4 million, is expected to close in January 2007. Including Windtec, next year's revenues for AMSC's Power Electronic Systems Business Unit is expected to more than double to approximately $50 million. The acquisition is expected to be accretive to earnings beginning in its first full quarter of operations. Windtec designs a wide variety of wind turbine systems from the ground up, and in certain cases licenses these designs to third parties for an upfront fee and royalty payments for each installation of a Windtec-designed wind turbine system. They provide development, design, calculation, optimization and certification of complete wind turbines or individual components. Several Southern California cities are gambling their future power needs on the development of sufficient alternative energy sources, such as wind power, solar power and power from IGCC power plants to meet their needs. Currently these sources are either too intermittent, too costly, or not well enough developed to meet their needs. Anaheim, Burbank, Glendale, Pasadena, Riverside, and the Los Angeles Department of Water and Power have told Intermountain Power Agency in Delta, Utah, that they would not be renewing their contracts for cheap, coal-fired power. They are instead going to seek cleanear alternative energy power sources by 2027, after their current contracts with the Utah company expire. A new California law that effectively prohibits electricity purchases from conventional coal-fired power plants goes into effect January first and Intermountain had been pushing cities to renew their contracts ahead of that date in a move to circumvent the law, but these cities refused to budge. The law bans use of power from sources that generate more such gases than in-state natural gas plants. A edie news story (UK) reports that A 'clean coal' plant that would capture and bury most of its carbon emissions could become the first coal-fueled power station to be built in the UK since the seventies, under plans announced by British Gas owner Centrica. Carbon from the Teesside plant would be pumped for storage under the North Sea. The £1bn plant would produce almost zero emissions and would be the first in the UK built with carbon capture and storage (CCS), according to Centrica. The Teesside plant would produce a sixth of the carbon emissions of a traditional coal-fired power station, and capture over 80% of it, giving overall carbon emissions equivalent to less than 4% of those of a traditional coal plant. The plant would use the "integrated gasification combined cycle" (IGCC) process, which has not been used before in the UK. This process enables capture of a particularly high portion of both the criteria emissions and CO2. IGCC involves crushing coal into a powder, gasifying the coal, and carbon capture before burning the gas for production of electricity. American Superconductor Corporation (NASDAQ: AMSC) is the world's principal vendor of high temperature superconductor (HTS) wire and large rotating superconductor machinery, and it is a world-leading supplier of dynamic reactive power grid stabilization products. AMSC’s HTS wire and power electronic converters are at the core of a broad range of new electricity transmission and distribution, transportation, medical and industrial processing applications, including dynamic reactive power grid stabilization solutions, large ship propulsion motors and generators, smart, controllable, superconductor power cables and advanced defense systems. The company reported financial results and accomplishments for its fiscal second quarter ended September 30, 2006 and provided an insight to activities in the last half of FY 2007. Revenues for the second quarter of fiscal 2007 were $9.6 million, and the company’s net loss was $7.0 million, or $0.21 per share. Revenues for the second quarter of the previous fiscal year were $10.9 million, and the company’s net loss was $6.8 million, or $0.21 per share. The company ended the second quarter of fiscal 2007 with no debt and $46.1 million in cash, cash equivalents and short-term investments compared to $65.7 million on March 31, 2006. The company’s total backlog of orders and contracts more than doubled to $42.6 million on September 30, 2006, compared to the $18.4 million in backlog as of September 30, 2005, plus several new contracts and orders received in October, which totaled $6.2 million . A Fitch Investment report states that strains on the U.S. power delivery system are beginning to show with the current system characterized by aging infrastructure, significant underinvestment and outdated technologies. There are concerns regarding both reliability and capacity. With integrated regulated utilities as traditional owners of transmission (following a period of corporate restructuring and industry deregulation in many states coinciding with a period of financial stress for many utilities), the transmission system has been both underinvested and, as many believe, not adequately maintained. In the last decade most transmission investments were made to meet additional demand rather than maintaining the existing system. According to the U.S. Department of Energy (DOE), 70% of the transmission lines are 25 years or older, 70% of power transformers are 25 years or older and 60% of circuit breakers are more than 30 years old. Some 154 new coal-fired plants are on the drawing board in 42 states. Should power companies be permitted to build new plants that pollute more but are reliable and less expensive? Or should regulators push utilities toward cleaner burning coal plants, even if it means they will cost more and are based on newer, yet still unproven, technology? FuelCell Energy, Inc. (NasdaqNM:FCEL), has finalized terms with the U.S. Department of Energy (DOE) for a $36.2 million Phase I award to develop a coal-based, multi-megawatt solid oxide fuel cell-based hybrid system. The program’s overall objective is to develop solid oxide fuel cell (SOFC) technology, fueled by coal synthesis gas (coal gas) that will be used in highly-efficient central generation power plant facilities. The system is to have an overall efficiency of at least 50 % in converting energy contained in coal to grid electrical power, in contrast to the approximately 35 % efficiency of today’s average U.S. coal-based power plant. 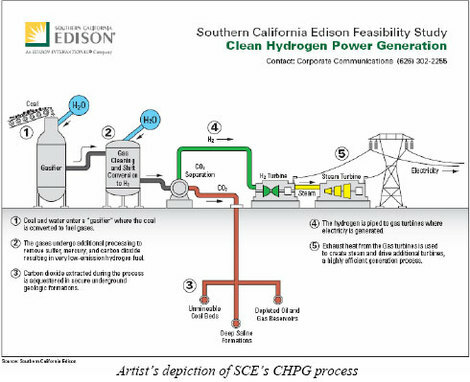 The envisioned SOFC-hybrid system is expected to capture 90 percent or more of the system’s carbon dioxide emissions for environmentally safe disposal while being cost-competitive with other base load power generating technologies. The project will culminate with the fabrication and operation of a multi-MW proof-of-concept SOFC-hybrid power plant at a suitable location, using coal-derived synthesis gas as fuel. FuelCell Energy may consider submitting the project to the FutureGen Alliance Inc. for possible inclusion in the FutureGen Power Plant. Fuel Cell Works reports that researchers from the University of Minnesota-Rochester and Rochester Public Utilities are developing a Hybrid Energy System combining a fuel cell and a geothermal heating/cooling system to find out how much better they are in tandem. The hybrid system captures the heat from the fuel cell exhaust and can either circulate it through the geothermal system or stores it in an antifreeze-like solution in underground tanks. Testing is scheduled to start next month. Economic capture of CO2 from the larger power and steam generators used by utilities and large industrial facilities. Once it is commercially deployed, TIPS will revolutionize the way the world generates energy from hydrocarbons. Based on reliable oxy-fuel chemistry, TIPS departs from the traditional oxy-fuel approach by pressurizing the entire combustion system. Because the process operates at an elevated pressure it is able to use gas-to-liquid steam-hydroscrubbing to collect and remove pollutants, including NOx, SOx, mercury, particulates and CO2, and recover latent heat from water entrained or produced in the combustion process at efficiencies comparable to those of conventional large-scale combustion technologies. The pollutants are recovered via direct condensation and can be sold as commodity products. The pressurized oxy-fuel approach also enables CO2 to be recovered as a pressurized liquid through direct condensation. Emerging improvements to oxygen separation technology will significantly improve the economics of oxy-fuel processes. Energie Baden-Württemberg AG (EnBW) and Siemens Power Generation (PG) are joining forces to build a highly efficient fuel cell hybrid power plant. Plans call for the construction of a megawatt-class demonstration plant. The goal of this research project is to convert up to 70% of the fuel energy into electricity. The efficiency of this hybrid process is significantly greater than that of modern gas and steam turbine power plants, which can reach an efficiency approroaching 60 percent. This hybrid power plant combines a high-temperature fuel cell with a gas turbine in order to make more efficient use of the fuel and minimize emissions. In solid oxide fuel cells (SOFC), an electrochemical reaction, directly and very efficiently, converts fuel energy into electricity and heat. In this hybrid power plant, the hot exhaust gases exiting the fuel cell are fed into the gas turbine, thereby reducing or totally eliminating the fuel consumption of the turbine. The gas turbine makes it possible to operate the fuel cell at increased gas pressure, which makes it more efficient. A new kind of electric power transmission cable is starting to be used by electric utilities. 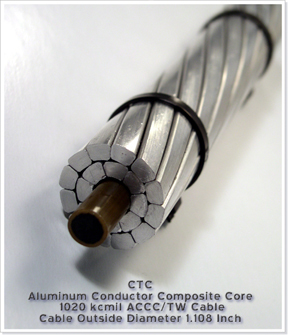 ACCC (Aluminum Conductor Composite Core) cable, as developed by Composite Technology Corporation (CTC) (OTC Bulletin Board: CPTC), can double the current carrying capacity over existing transmission and distribution cable and can dramatically increase system reliability by virtually eliminating high-temperature sag. Growing energy demand and an aging electricity infrastructure underscore the urgent need for new and upgraded transmission lines. Sagging and over-utilized power lines are increasingly becoming bottlenecks for electrical distribution systems. Despite catastrophic system failures and seasonal symptoms such as rolling brownouts, efforts to expand or improve transmission systems invariably stall due to the limited options available to utilities and government. With the power grid load up 35% in the last decade and only an 18% growth in grid capacity (source: EPRI), utility industry problems are going to continue to multiply. Vivienne Cox, BP Chief Executive, Gas, Power & Renewables gave a speech on Sept. 27 to the Los Angeles World Affairs Council entitled "Why Clean Electricity Is Critical in Combating Climate Change- Steps to Accelerate America's Low Carbon Power Economy." Some exerpts from her speech are alarming, bring attention the seriousness of our CO2 emmissions and explain what BP is planning to do about them. GE Energy's first 60-hertz 7H gas turbine, one of the most efficient and advanced machines of its type in the world, has completed testing and is on its way to the Inland Empire Energy Center near Riverside, California. A few 50-hertz units have been sold in Europe but this will be the first installation of 60-hertz H System(TM) technology. The 7H is the world's first combined-cycle platform with the capability to reach 60+ percent thermal efficiency. The 7H, the first of two units planned for the 775-megawatt Inland Empire project, was shipped from GE's Greenville, South Carolina facility on September 15. Operating on natural gas, the two GE 107 H combined-cycle units at Inland Empire will produce enough power to supply nearly 600,000 households while reducing future carbon dioxide emissions by more than 146,000 tons a year, compared to a typical gas-fired power plant of a similar size. 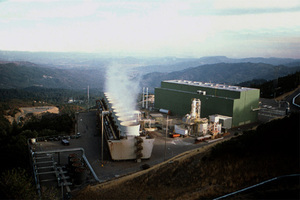 The new power plant is expected to enter commercial service by the summer of 2008. Per press release (edited) and supercables website. A $9 million dollar 200 meters (660 feet) long second-generation high temperature superconducting (HTS) cable was energized on Sept 18 near Columbus, Ohio. The cable is used to efficiently deliver electric power to approximately 8,600 homes and businesses in suburban Columbus through American Electric Power's (AEP) Bixby substation in Groveport, Ohio. Superconducting cables, operating at extremely low temperatures, eliminate virtually all resistance to the flow of electric current. One Triax HTS cable can carry as much current as 18 large copper cables, with much less energy loss. 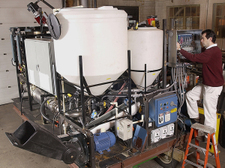 Although called high-temperature, this HTS system operates at temperatures just below the boiling point of liquid nitrogen (-321 degrees Fahrenheit). As shown in the illustration, the Triax design places the three phase conductors (red) concentrically around a common central core. The three superconducting phases separated by a thin, 15 kV-class, electrical insulation material (yellow), Cryoflex™. Thus there is only one cooling pipe (dark grey), and the voltage that the dielectric has to withstand is the full phase to phase voltage. 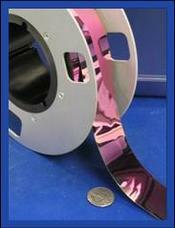 The advantage to the design is that it is ultra-compact, and uses the least amount of superconductor. The authors are part of a growing group of engineers and physicists who have begun developing designs for a new energy delivery system they call the Continental SuperGrid. They envision the SuperGrid evolving gradually alongside the current grid, strengthening its capacity and reliability. Over the course of decades, the SuperGrid would put in place the means to generate and deliver not only plentiful, reliable, inexpensive and "clean" electricity but also hydrogen for energy storage and personal transportation. Super-Grid links crossing several time zones and weather boundaries would allow power plants to tap excess nighttime capacity to meet the peak electricity needs of distant cities. By smoothing out fluctuations in demand, the low-loss grid could help reduce the need for new generation construction. The Super-Grid could go a long way, too, toward removing one of the fundamental limitations to the large-scale use of inconstant energy from wind, tides, waves and sunlight. Swedish energy giant Vattenfall inaugurated construction site of the world's first CO2-free coal-fired power plant, a 30 MW Oxyfuel pilot plant (previous post), scheduled to go into operation in 2008. 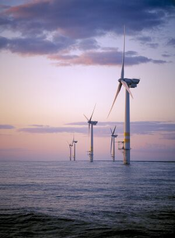 Vattenfall, has invested 50 million euros ($65 million) in the facility, which will emit no greenhouse gases. The plant uses the Oxyfuel Oxyfuel process which burns coal in a pure oxygen environment producing a flue gas that is mostly carbon dioxide and water. The water can be condensed and the remaining nearly pure carbon dioxide collected for sequestration. One of the biggest advantages of the new process is the availability of coal, stocks of which in Germany should last for another century. However their are a few drawbacks to the process, for one, the efficiency is lower than in conventional coal plants. Traditional coal plants can run as high as 45 percent efficiency (maybe in Europe but not in the U.S.), while the the Oxyfuel process, is about 35 percent efficient. Experts estimate the costs for separating and storing a ton of CO2 at from 25 to 40 euros which is less expensive than other methods of CO2 capture and storage, which in part makes up for the low efficiency of the process. 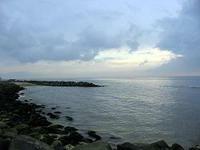 If the technology works once the pilot plant is built, Vattenfall wants to build a 300-megawatt facility by around 2015. Estimates are that the technology could be commercially viable by around 2020. Powerspan Corp., who develops and commercializes clean energy technologies for power companies, and FirstEnergy Corp. (NYSE: FE), an electric power generation company, are cooperating to demonstrate both carbon dioxide (CO2) capture and sequestration at FirstEnergy's coal-fired power R.E. Burger Plant in Shadyside, OH. Last week, FirstEnergy announced that it had been selected to test carbon sequestration by the Midwest Regional Carbon Sequestration Partnership (MRCSP), one of seven regional partnerships set up by the U.S. Department of Energy (DOE) to research carbon sequestration projects throughout the country. The Burger Plant test project will involve geological site characterization to determine potential suitability for carbon sequestration in the area. If test results prove favorable, next steps involve obtaining permits required to drill a test well, followed by injection of a small amount of CO2 into the well. Concurrently, Powerspan is developing a CO2 removal process, called "ECO2™", for coal-based power plants. This regenerative process uses an ammonia-based solution to capture CO2 in flue gas and prepare it for subsequent sequestration; after regeneration the ammonia solution is recycled to capture additional CO2. Powerspan has conducted initial laboratory testing at the company's research & development facility, with promising results. In September 2005, FirstEnergy announced plans to pilot test the CO2 capture process beginning in late 2006 at the Burger Plant. A recent article in the New York Times discussed the plans of electric power generators to build either integrated gasification combined cycle (IGCC) power plants or more conventional pulverized coal power plants. The issue centers around the ability of IGCC power plants to be easily converted to capture the carbon dioxide for sequestration vs the lower cost to build the more conventional plants. A relatively small group headed by American Electric Power, the nation's largest electric utility, are planning to build IGCC power plants, while most of the industry including Peabody energy, the largest private coal producer who are not comfortable with the technology or the costs of IGCC. The IGCC plants costs 15 to 20% more to build but would be far less expensive to retrofit for carbon capture if limits are placed on global warming emissions. About a dozen of the 140 planned coal-fired power plants in the U.S. expect to use the newer technology. Both technologies can reduce criteria emissions to below standards, the question is whether and, if so, when will controls be placed on global warming gases.